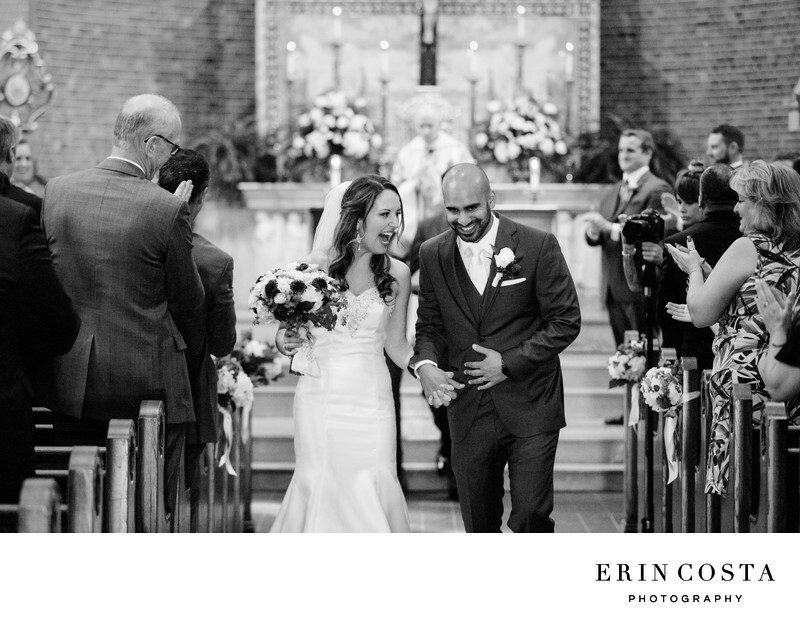 I love watching couples walk back down the aisle as newlyweds, especially when they are as happy as Caitlyn and Julio! They were all smiles after their wedding ceremony at the Basilica Shrine of Saint Mary located in downtown Wilmington, North Carolina. Location: 412 Ann St, Wilmington, NC 28401.